Posted November 1, 2017 at 10:15 am & filed under News. 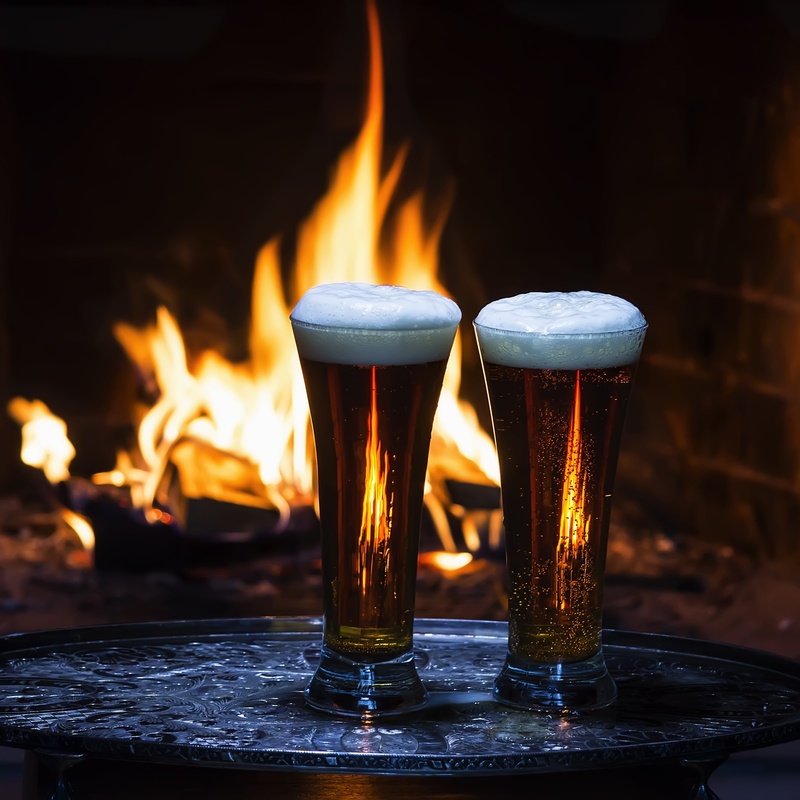 Cold November nights, and particularly the days surrounding the 5th November, are a gift for publicans that can create a warm, welcoming atmosphere in the bar. The hearty comfort food and deeply flavoursome ales, often spicy, fragrant and strong, offer you a chance to showcase your seasonal best. Breweries have often been keen to produce special ales for the bonfire celebrations and make this pre-Christmas celebration of historic events a night to remember. Here are just a few that evoke the spirit of our fabulous British Autumn. One of the strongest ales to come from the Sussex brewery at 5.8%, this dark amber ale does its best to conjure up the bonfire night atmosphere with a quantity of black malt giving a delightfully smoky flavour. With the brewery based in Lewes, a town infamous for its pyromaniac bonfire societies and elaborate processions every November 5th, Bonfire Boy successfully encapsulates the spirit of the season. The family run micro-brewery in rural Warwickshire offers a seasonal salute to the Guy Fawkes legend with its cheeky Fawkes Off. A rich, malty, ruby ale at 5% given a little extra spice for the season including fragrant Cascade aromas and bitter Magnum hops, Fawkes Off can be found at the brewery’s tap house, The Lord Nelson in Ansley and The Blue Boar, Mancetter but may appear, for those lucky enough to be in the area or planning a rural break, further afield. The legendary London brewery, reignited in 2010, have offered two ales that bring us the best in seasonal flavours. The small batch Treason fires the imagination with its in-cask dry hopping using muscular Centennial hops. Fire Starter rather darkly celebrates the Great Fire of 1666 rather than bonfire night but warrants a mention for aptness of name. Fruity and malty, well worth seeking out if you happen to be in the East End and need a warming tipple. While we love to see a good pun in a beer name, sometimes you have to let the beer speak for itself and Kent’s Westerham Brewery crew appear to have managed to sit quite firmly on their marketing man and offer their seasonal Bonfire Bitter just as it is. None the worse for its no-nonsense naming of a rather splendid product, crystal malt and cascade hops bring you everything you need from a pint. It would be impossible to think of a beer so perfectly titled for a bonfire night party, however this little beauty of a Porter, like much of British history, has been jazzed up and returned to us by our American cousins. Although unlikely to be found in your local, it would be great to import a batch and make it quite the talking point over the sausages, jacket spuds and sparklers. Whatever your ale of choice while watching the colourful displays (or imagining the wads of cash being carelessly blown apart in the night sky), Beer Piper wishes all of its customers a safe and enjoyable Guy Fawkes Night and fantastic, beer-filled November.